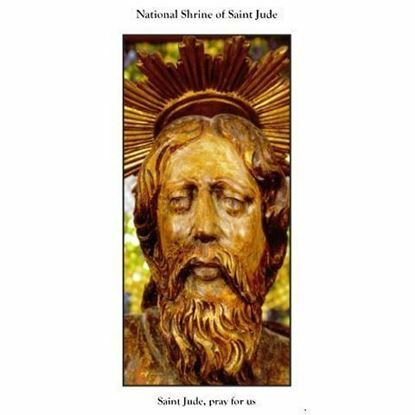 Through his letters to fellow friars and through his Carmelite newsletter, Fr. Elias Lynch communicated his heart and soul to readers in the English county of Kent, his native Ireland, and throughout the world. 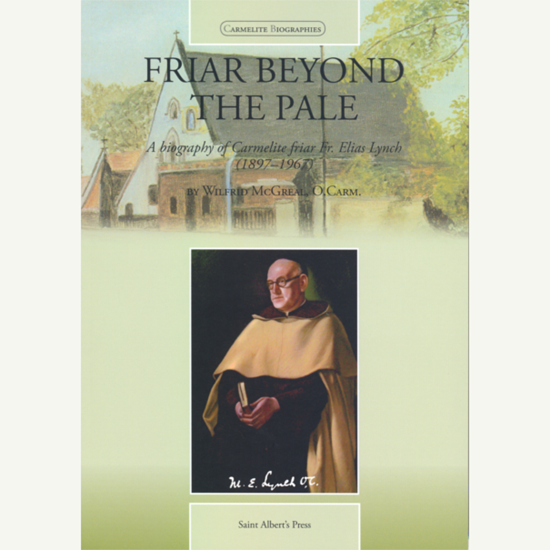 The life and insights of Elias Lynch are presented in his own words and through this biography by Fr. Wilfrid McGreal, O.Carm. 168 pages with colour illustrations and a complimentary bookmark. 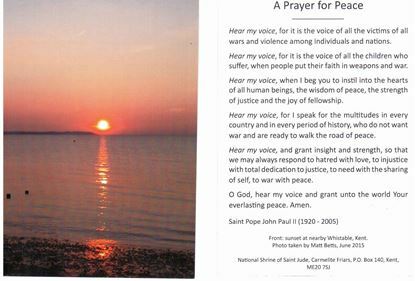 A prayer for peace by Pope St John Paul II that can be used to pray for the end to the war in our world. 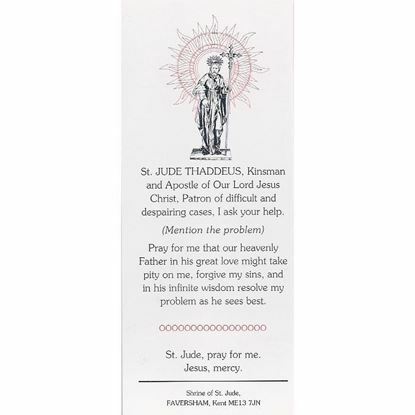 A beautiful prayer.